All funds raised will be paid directly to Westport Market, Inc. for Help us raise funds so we can offer more services to our community..
We're launching this fundraiser to help us pay for permit costs, administrative fees, pay for our web hosting, and farmers market logistical needs. We're in the process of becoming a 501(c)(3) organization and need to raise funds to help us reach this goal. We're also working towards accepting SNAP/EBT at our farmers market this season. Your purchase will help us so much. The Westport Market is a farmers market located in south Baltimore City, in the neighborhood of Westport. Westport, is considered a food desert, with limited availability of grocery stores that offer fresh produce, and fruits. In 2015, neighbors from Westport got together and launched the farmers market. The market brings together the community, while also connecting them to their food source, artisans and local farmers. 2016 we're addressing challenges identified last year. These include, accepting SNAP/EBT benefits so we may be accessible to those who need healthy, nutritious food the most. 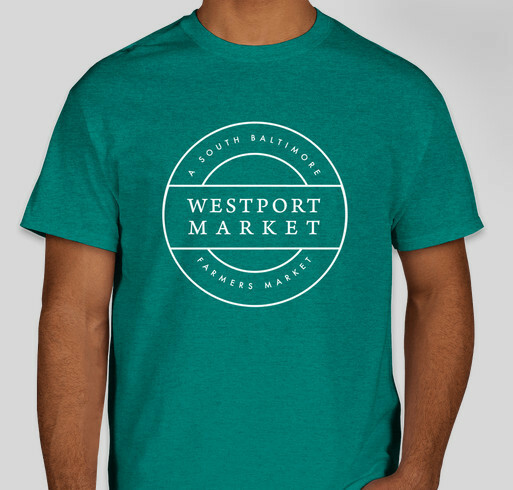 Share Why You Support "Westport Market T-shirt Fundraiser"